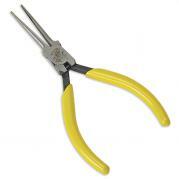 Detailed listing of our Klein pliers. 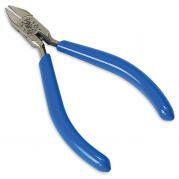 4" diagonal semi-flush cutters with pointed nose, self-opening spring and dipped handles. Legendary Klein quality, US-Made Pliers. Sharp pointed nose delivers precise cutting and trimming. Spring-loaded for for self-opening action. 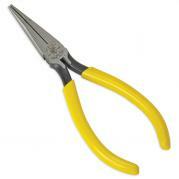 5" semi-flush diagonal cutters with pointed nose, self-opening spring and dipped handles. Durable general purpose oval head cutters. Serrated jaws are made for gripping, bending and forming. Midget curved Jaws are excellent for grasping and bending in tight spaces. 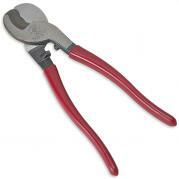 Curved jaw chain nose plier delivers precise bending and forming. Spring-loaded for for self-opening action. Long nose pliers with serrated jaws and needle nose. 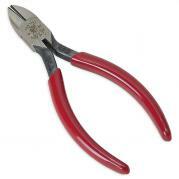 Long nose pliers with serrated jaws. 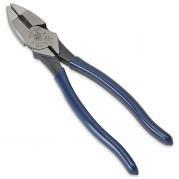 The Original and still the best Lineman's pliers from Klein, with dipped handles and hardened cutting knives. One-handed shearing action and curved cable gripping jaws. 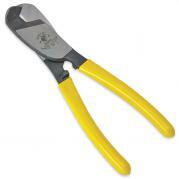 Easily cuts through up to 3/4" cable with tough carbon steel blades. Legendary Klein quality, this cutter delivers one-handed shearing action and curved cable gripping jaws. 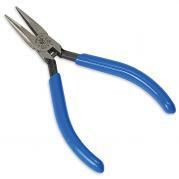 Easily cuts through up to 3/4" cable with carbon steel blades. 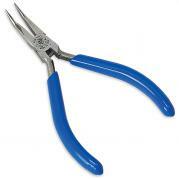 Long cushioned handles and the curved shear type jaws cut non-steel cable with ease. For 24 gauge communications, 4/0 aluminum and 2/0 copper (not ACSR).